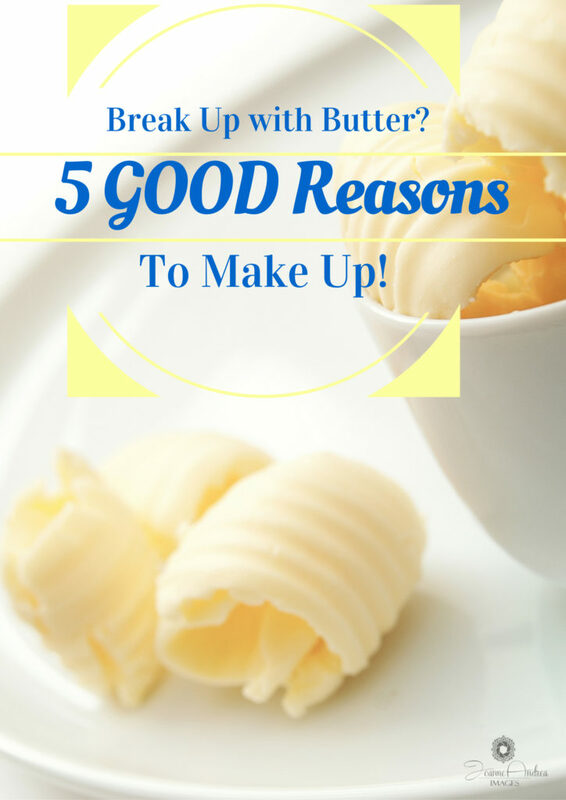 5 reasons you need to come back to butter! Did you break up with butter?? 5 fantastic reasons why you need to make up! For the longest time, butter was the staple on our grandparent’s table. It was best friends with bread, made sure nothing hung around on the baking pans when grandma greased and floured them, and basically just added a whole world of comforting goodness to pretty much anything it touched. Then margarine showed up like the snobby, rich girl at the prom. You know, acting like she’s better than butter. Butter got sad. Everyone started hating butter and saying it was no longer good for you. People broke up with butter. Here are 5 fantastic reasons why you definitely NEED to make up again! Take a look at your margarine container. G’head, peek away. Tell me how many of those “ingredients” you can actually pronounce. Never mind that the chemical makeup of margarine is only a few compounds away from being classified as PLASTIC, it’s literally a cesspool of unpronounceable chemicals that shouldn’t be put into your body. It’s been said that the simple fact that ants and flies make a bee-line (ha-ha see what I did there?) around margarine if it was left open in the outdoors. They won’t even LAND on it………. And we all know where flies like to land, so that should tell you something. I’ll bet you’re amazed to know that butter is a source of vitamin A and D. One measly tablespoon contains 7% of your daily requirements of vitamin A, and 2 percent of Vitamin D. Also, Butter contains a potent anti-cancer agent called conjugated linoleic acid. Don’t worry about pronouncing it, just know that it builds muscles and boosts your immunity. There are literally SO many health benefits to eating butter. Everything from preventing tooth decay to helping you lose weight (I know, right? ), to helping to build strong bones. Worried about saturated fat you say? An article by the European Food Information Council reports that at the Oakland Research Institute in Oakland, California and the Departments of Nutrition and Epidemiology at Harvard School of Public Health are finding that saturated fat is not a contributor to heart disease. You can read their findings here. Siiiiiiiiiiiiigh…. Ohhhh the taste. Nothing tastes quite like butter. Don’t even try to sell me the idea that margarine tastes exactly like butter, ‘cuz no. JUST NO. 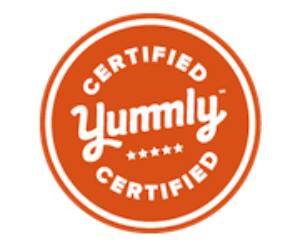 A flavoring derived from a chemical compound compared to the natural taste that Mother Nature made is no comparison. Fresh, creamy, and sometimes with a hint of sweetness, put it on anything and it instantly becomes the epitome of comfort food. Homer Simpson had it right when he wrapped a waffle around a stick of butter and said “MMMmmmm… butter”. Ok, so that’s an extreme example but the there’s nothing like it’s comforting taste to make you feel better. The price is comparable to the touted “top shelf” margarines out there. Here’s a hint; take your butter home and leave it at room temperature for a bit. Throw it in your mixer and whip the heck out of it. Incorporating air into the butter makes it go further, and so essentially would be cheaper than margarine. Speaking of price, did you know that butter and margarine have the same amount of calories spoon for spoon??? So for the calorie “price” they both have, isn’t it better to go with more natural, yummy choice? 5. It’s a DIY activity! Cabin fever on a rainy day with the kids? Are they complaining to be bored out of their minds? Cleaning their rooms isn’t fun, but guess what is?? MAKING YOUR OWN BUTTER! Yess.. it’s possible and MIND NUMBINGLY EASY. It’s as simple as a bit of whipping cream and a jar! Check it out HERE! Lastly, having butter spread on freshly made bread makes you feel everything is right in the world. Like they say – don’t eat anything with ingredients your grandparents wouldn’t recognize! Not long ago the “experts” told us eating butter vs margarine was tantamount to opening an artery and shoving something immovable in it. They also told us fat that stayed solid at room temperature (butter) was really bad. Perhaps they never looked at room temperature margarine? We heard how terrible coffee is; now they’ve found all sorts of indications it’s reallly good in several healthy ways including slowing the aging process as well as the onset of Alzheimer’s disease. If one listened to some of the “experts” about the same time, time honored pain reliever aspirin would probably eat a hole in your stomach upon contact. Not so if you eat a couple of crackers/cookies and drink a glass of milk or water at the same time. Of course check with your doctor first if you have any kind of gastrointestinal issue. Btw, a popular “replacement” for good old aspirin has since been found to have the pain killing ability of a placebo! And finally we have eggs, almost stricken from most everyone’s diet for lists of reasons innumerable to even begin here. Now they’re good for you again. The moral to all this is to use our own intelligence. Do our own research and ask questions of those whose judgment we respect. But mostly trust ourselves and never believe big pharma’s advertising/marketing departments regarding our health and wellness. Thank you Anne for your comments, and I completely agree with everything you’ve said!